The global political economies recession from oil dependency is enabling the acceleration of a new form of dependency through investments in ‘green energy’. The advancement of ‘green energy’ is establishing a new volatile dependency with rare earth minerals. Rare earth is a group of mineral resources that is used on a regular basis that often goes unnoticed. It is in an array of materials, from your smart phone to wind turbines. It is one of the many things in the evolving high-tech world, and its future, depends on. Rare Earth has become of political and strategic significance. The world is experiencing a growing trend of a shift from fossil fuels to “green” alternatives, but this comes at a price. The technology we use to harness renewable energy, like wind power, relies on resources that are far from renewable – including rare earth. Organizations, such as the International Energy Agency (IEA), aim to progress methods of sustainable energy fail to account for the non-renewable resources necessary for the establishment of ‘renewable energy’. The IEA published minimum recommendations to encourage sustainable energy sources. 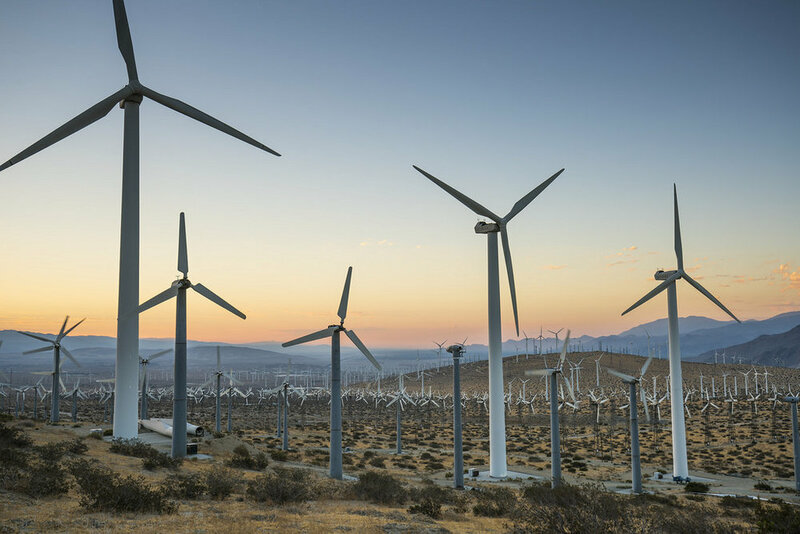 These recommendations entail increasing global wind power capacity four times over by 2030 and expanding the use of electric cars by 100-folds by 2025. These recommendations require the use of rare earth for the creation of these ‘renewable energy’ sources. The increasing reliance on rare earth bares the question, are we trading one dependency for another? It is important to take a close look at the process in which we generate renewable energy to make sure every part of its production is forward thinking and ecological, because it is dangerous to take green energy at face value as the devil lies in the detail. However, in recent decades China has endured environmental repercussions for its exploitation of rare earth. The mining process is environmentally destructive as the ore is often combined with radioactive elements, and separating it from the product requires the use of deadly toxins. This process creates 2000 tons of toxic waste for every ton of rare earth. This problem is evident in the Baiyun Obo rare earth mine in inner Mongolia. Baiyun Obo is the site of the largest rare earth slurry lake in the world which consists of 70,000 tons of radioactive thorium. In the 2000s, local news media began reporting “cancer villages” due to the heightened prevalence of the illness, and resulting in the lake being described as a “time bomb” as it nears the Yellow River, threatening the water supply of millions of Chinese citizens. China’s troubles with rare earth do not end at their borders, but have international ramifications. China’s monopoly over rare earth has made other states act to mitigate the power China has over this increasingly valuable resource. Japan is one state that is taking measures to secure their own sources of rare earth. They have sought to exploit the sources of rare earth in the sea beds of their Exclusive Economic Zone (EEZ), the national border that extends 200 nautical miles off a country’s land mass. Japanese expansion into the rare earth extraction may exasperate the tensions that are already exist regarding sovereignty of the East China Sea between China and Japan. The United States is another country which feels threatened about China’s monopoly over rare earth. America attempts to establish their own rare earth market has been largely, however not entirely, squashed by China’s competitively low prices. The United States cannot compete with such low prices because, unlike China, the cost of meeting environmental regulations raises the cost of production. China’s monopoly over rare earth permit them to control the market and the mere possibility of it being used coercively has led to increasing tensions in Sino-American relations. This has caused some scholars, both American and Japanese, to think about ways of addressing this security threat and suggest policies such as creating strategic reserves to mitigate the possibility of potential economic warfare. Rare Earth is a resource that has and will continue to have geopolitical significance. It is a resource that is critical to growing and thriving industries like green technology, which we lead to their use being more and more controversial and important to global affairs. The public might not fully grasp their breadth or importance, but the powers that be, like the major powers, have no illusions about their importance and their future. The public must remain informed and vigilant about this issue because everything from our technological, creature comforts to the devices that combat climate change require this resource to be readily available and exploitable. Often it was said that the 21st century was going to be the story of oil, but it very well may be the story of rare earth.